In November 2018, China underwent its Universal Periodic Review and received many recommendations on freedom of expression, both online and off. This side event will elevate the views of civil society actors who are committed to seeing improvements in the protection of freedom of expression in China. Sarah M Brooks, Asia Advocate, International Service for Human Rights. Lawyers for Lawyers and The Law Society of England & Wales organize a UN side event on the “The Independence of the Legal Profession” on Thursday 16 March 2017, 3 – 5 pm in Room XXIII of the Palais des Nations, Geneva. The panelists will share their experiences, obstacles faced by members of the legal profession in their respective countries, and possible ways to improve the safety of lawyers who work in challenging contexts. Nomination for the 2017 Lawyers for Lawyers (L4L) Award can be submitted until 15 February 2017. The Lawyers for Lawyers Award will be presented for the fourth time in Amsterdam on 19 May 2017. An independent jury, chaired by mrs. Heikelien Verrijn Stuart, will decide which lawyer will receive the award. The prize will consist of a special token as well as a monetary element of € 10.000. This award is presented every two years to a lawyer who promotes the rule of law and human rights in an exceptional way, who has been threatened or obstructed because of his or her work as a lawyer, and who may benefit from the publicity and recognition of the Award. Anyone can submit a nomination, but a lawyer or group of lawyers cannot nominate themselves. Lawyers from all over the world can be nominated. Human rights lawyers in the Philippines on Friday 23 January 2015 protested publicly against the growing death toll within their ranks as they marked the “Day of the Endangered Lawyer” by trooping to the Supreme Court. The protest spearheaded by the National Union of Peoples’ Lawyers [NUPL] and joined by the Integrated Bar of the Philippines was joined by lawyers’ and support groups that staged pickets or held dialogues at Philippine embassies and consulates in 23 cities in 11 European countries. A petition <http://www.advocatenvooradvocaten.nl/wp-content/uploads/Petition-Day-of-Endangerd-Lawyer-2015.pdf> signed by lawyers organizations from Asia, Canada Europe and the United States calls on the Aquino government to prevent extrajudicial killings and all forms of harassment of lawyers and to end impunity by prosecuting perpetrators of rights violations. The petition also calls on the Aquino government to protect the safety of lawyers as provided for in the Basic Principles on the Role of Lawyers adopted by the General Assembly of the United Nations in 1990. Underlying causes for extrajudicial killings. The practice of labeling (classifying victims as ‘enemies of the state’), the involvement of the military in politics, the proliferation of private armies and vigilante groups and the culture of impunity have been identified by national and international fact-finding bodies as the main root causes for the alarming rate of extrajudicial killings, including the extrajudicial killings of lawyers, in the Philippines. “Gikan sa Ngitngit nga Kinailadman” (From the Dark Depths) records grave rights violations using interviews and recollections of the survivors and witnesses. The cases featured in the film remains unresolved; the perpetrators waiting for the next human rights defender to hunt. The film shows the atrocities of the military and paramilitary troops, including the armed agents of the agro-industrial corporations in the hinterlands of Mindanao. -The first case presented in the film is the assassination of Gilbert Paborada—a Higaonon farmer in Bagocboc, Opol, Misamis Oriental. Daisy Paborada, the wife of Gilbert, and Joseph Paborada, his brother, reiterates how the struggle of their community against the entry of palm oil plantations of A Brown Company led to Gilbert’s death. -The film also shows interviews about the harassment of the Lumad community in Opol as they suffer from the goons of A Brown Company. The harassments and intimidation breed the culture of fear and terror among the people who opt to protect their ancestral domain vis-à-vis the environment over money. Dalena is also the director of Alingawngaw ng mga Punglo (Echo of Bullets) that exposed the criminal acts of the military under the infamous General Jovito Palparan, also known as ‘The Butcher.’ Palparan now is in jail, facing allegations of murder against human rights defenders. Sr. Maria Famita Somogod, regional coordinator of Rmp-Nmr, said the film highlights political repression. The spate of human rights violations featured in the film is the reaction of the government to quell the legitimate dissent of the lumads against the entry of agro-industrial corporations in their ancestral domain. Somogod said the dissent of the lumads and farmers is legitimate. Their demands are to protect their ancestral domain against the encroachment of foreign corporations in the hinterlands. “Instead of seeds, bullets. Instead of food, bombs. Instead of peace, forcible evacuation. Instead of life, death,” Somogod said, adding this is what the ordinary lumads and farmers get for protecting the land of promise. In the words of the author Anjo Bacarisas, in Sunstar of 25 January: at the end of the film one asks: How should we stop this appalling cruelty against the lumads and farmers? At this event fundamental rights of lawyers and journalists that are regularly being violated will be discussed, including freedom of expression, privacy, confidentiality between lawyers and their clients and the protection of sources by journalists. This event comes at a time when the rule of law in Turkey is under serious threat. Turkey 27 January in Geneva; side-event Persecution of Lawyers and Journalists in Turkey Lawyers for Lawyers. On 23 April 2014 Amsterdam-based Lawyers for Lawyers (L4L) and Lawyers’ Rights Watch Canada (LRWC) warn in an open letter to President Aquino of the Philippines for the continued labeling of lawyers as enemies of the state by the military. Since March, Atty. 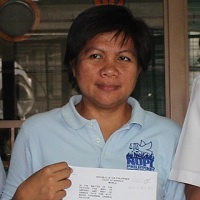 Maria Catherine L. Dannug-Salucon has been the subject of death threats, labeling, surveillance and verbal intimidation by military officers. Mrs Dannug-Salucon is reportedly on the Filipino military’s Watch List of so-called ‘Communist Terrorist’ supporters providing legal services. She has also been under the surveillance of the Intelligence Services of the Armed Forces. The surveillance is particularly worrisome in view of the killing – reportedly by members of the Intelligence Services – on 25 March 2014 of Mr. William Bugatti, a human rights defender who was also working as a paralegal for Atty. Dannug-Salucon. Along with the Office of the High Commissioner for Human Rights and the UN Human Rights Committee, the NGOs call on Spain to repeal its 1977 Amnesty Law as it violates the international law obligations Spain has assumed since that year and the Spanish Constitution itself (articles 1.1, 9, 10.2, 95 and 96). Spain: Human Rights Groups Welcome Spanish Court’s Decision to Acquit Judge Baltasar Garzón / February 27, 2012 / Urgent Interventions / Human rights defenders / OMCT.